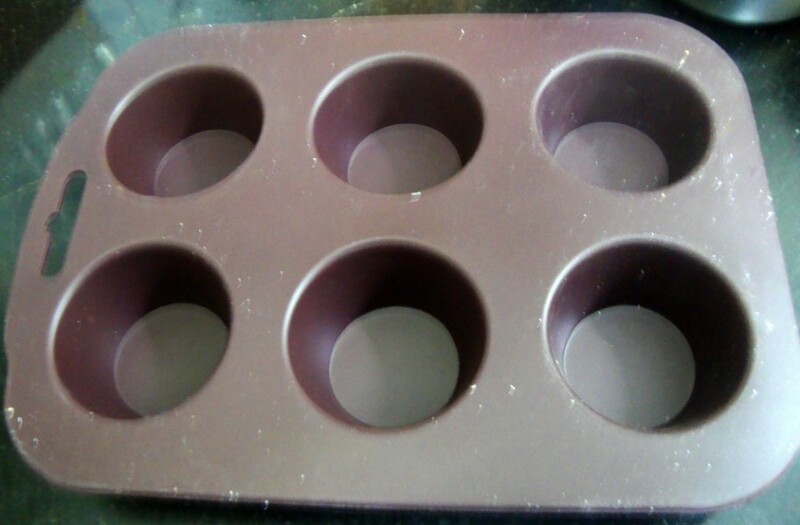 When I made the Eggless Cupcakes with Chocolate frosting, I thought I might as well try the new silicone Microwave safe muffin tray. During our Blogger's meet, Divya happened to tell us that Lifestyle now has a wide range of Microwave Collections, naturally for the festival seasons. All the Microwave and Baking buffs immediately set out to investigate the lane. In fact there were quite a lot of collection. I resisted to get only this tray which looks very cute. So it is only natural that my kindled interest also probes me to try out this microwave method. 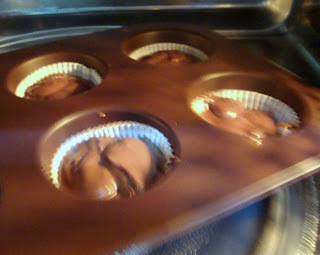 I used the same batter that I used for convection baking. 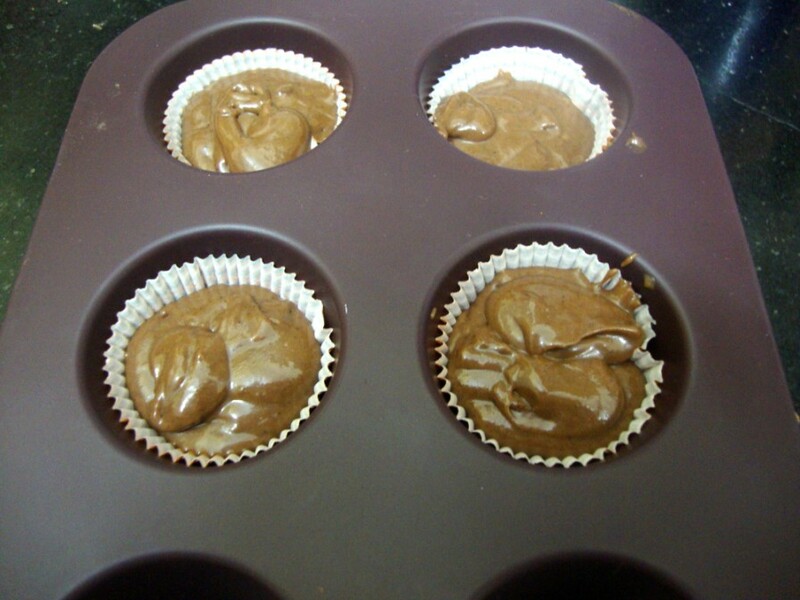 The beauty of baking in micro mode is that you have a cupcake in 1 minute! 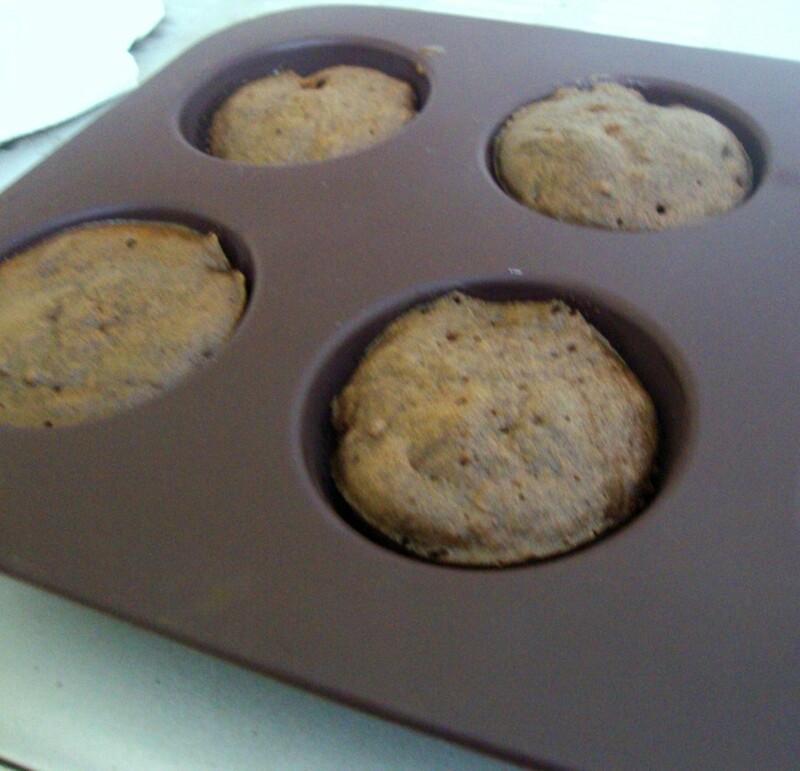 It was unbelievable as I thought that it would require at least 2 minutes as in the Banana Muffins. But then I realized that even that would have been actually done in one minute. 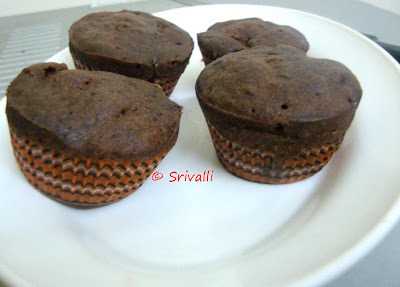 Please check the recipe from the Eggless Cupcakes with Chocolate frosting, I used the same but the baking mode is different. When I had used the non stick muffin tray, few of them had a question on the metal tray being used. While it is true that metal trays should not be used, somehow it never struck me that as the store keeper said it was microwave safe. Still I would not advise on using it as it is advised against usage. But since I used only for a minute, it was not risky at all and no sparks came out. Anyway I immediately wanted to buy a microwave safe tray for baking. After all who wouldn't want a cupcake in one minute? Line the muffin tray liners. Fill it to 3/4 of the cup. Bake it for 1 minute in Microwave Mode. Allow it to cool and do the frosting. As I said kids enjoyed it a lot. But the best compliment was from hubby dear and Mom who said Dad liked it a lot. What more can I ask for! And today when I was going to make something else, Chinnu came running to ask if I was going to make chhooocalate muufin? Well I said he had to wait for another day. 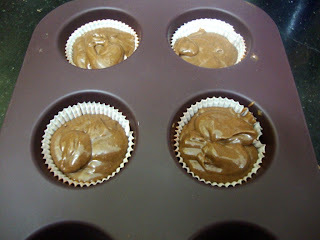 So I know I am going to bake it again. Just saw that Ria is hosting Monthly Mingle themed on Chocolate. Now who can say no for that! This has been a real Chocolate Extravaganza!